Continuing on with my current obsession, I’ve got two more dish clothes/toy blankets to add to my collection. 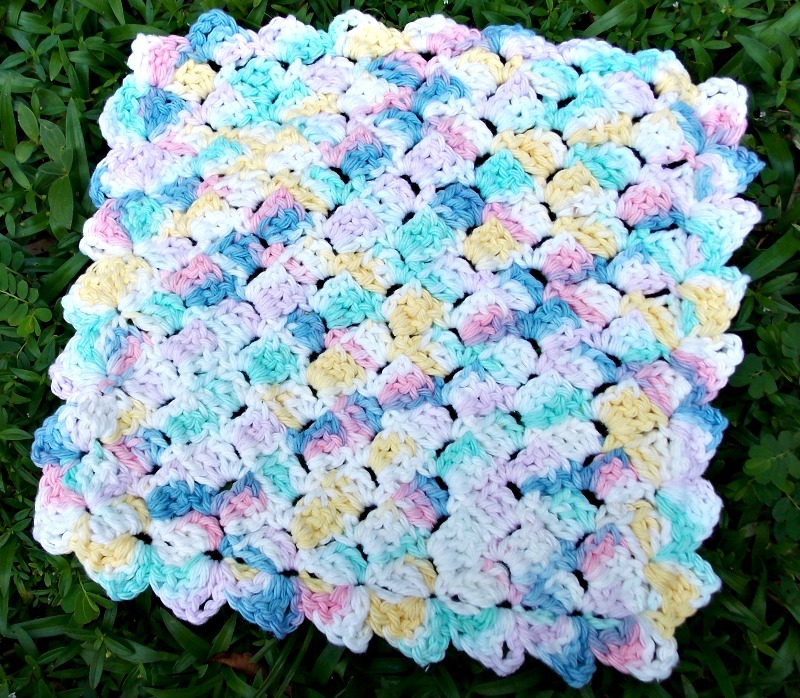 The pattern can be found here: Foothills of the Great Smoky Mountains: Tulip Stitch Cloth The pattern was super easy and crocheted up really quickly. I was done in about an hour and a half. I am usually a bit of a loose crocheter, so pulling tight was hard to remember, but I am well pleased with the results. This one was nabbed for a toy blanket within minutes of completion… who know small stuffed animals needed so many blankets – so I can’t really comment on how well it scrubs dirty dishes… yet! 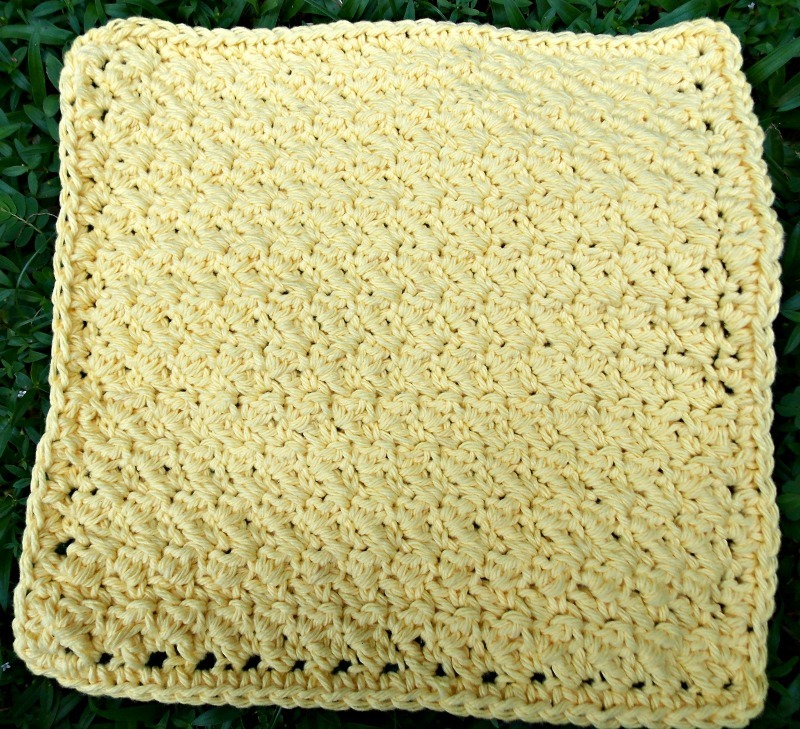 With that in mind, and trying to save money, I’ve started crochetting dishclothes. I can’t say that I am sold on them yet, but it’s better than going and spending money on something that gets so gross and nasty like the sponges we’ve previously used. 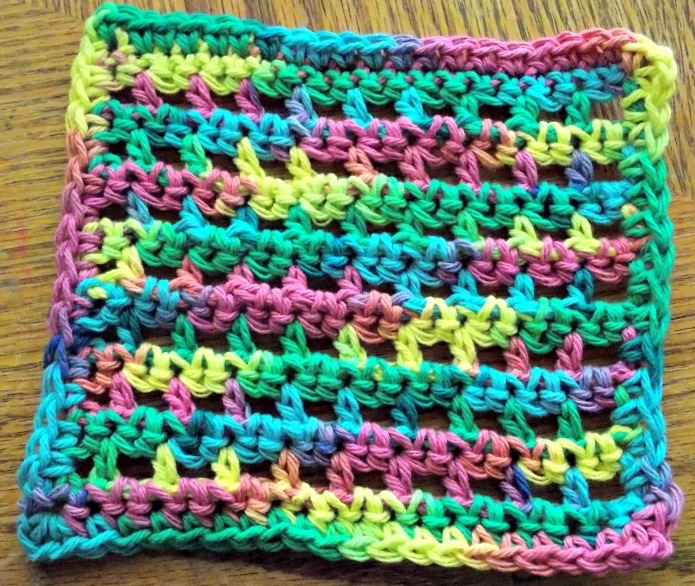 This particular time, I chose this pattern: Waffle Crochet Dishcloth and it was super super easy. What amuses me however, is my complete inability to make it square. But, I don’t mind… after all it’s going to be stuck in a sink full of dirty dishes and I don’t think that they will care!